Let a computer read through your code and extract what you want from it. It’s a job for Abstract Syntax Trees (AST). The following example is small. Our mission, should you choose to accept it, will be to extract the names of all the functions exposed in the global scope. Result should be ["decrementAndAdd", "incrementAndMultiply"]. Here since the code is ES5-compatible, we can choose the acorn parser. All parsers work the same. 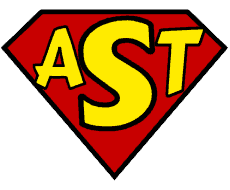 Give it some code, get an AST. The TypeScript parser syntax is a little different. But it is well documented here. This is the tree obtained by parsing the code in black with @babel/parser. In order to find what we are going to extract, it’s often better not to treat the whole AST at once. It’ll be a large object with thousands of nodes even for small code snippets. So, before we extract the information we need, we refine our search. The best way to do that is to only filter the tokens one cares about. Once again, many tools are available to do this traversing part. For our example we are going to use recast. It’s very fast and has the advantage of keeping a version of your code untouched. This way, it can return the part of your code you want with it’s original formatting. While traversing, we’ll find all the function tokens. This is why we use the visitFunctionDeclaration method. If we wanted to look at variable assignments we would use visitAssignmentExpression. Usually the names of the token types are not obvious. One can use ast-explorer to look up the types researched. Just paste your code in the left panel, select the parser you are using and “voilà!”. Browse the parsed code on the right and find what Node Type you’re looking for. We don’t always want to look at every level of the tree. Sometimes we want to do a deep search while other times we just want to look at the top layer. Depending on the framework, the syntax differs. Fortunately, it’s usually well documented. With recast, if we want to stop searching at the current depth, just return false when you are done. This is what we did before. If we want to traverse through (go deep), we can use this.traverse(path) like you’ll see below. With @babel/traverse no need to tell babel where to continue. One only needs to specify where to stop with a return false statement. We went from a very broad search to a smaller sample. We can now extract the data we need. The path object passed to the visitFunctionDeclaration is a NodePath. This object represents the connection between a parent and child AST Nodes. This path on its own is of no use to us because it represents the link between the function declaration and the body of the function. Using ast-explorer, we find the contents of he path we are looking for. console.log(path.node.type); // will print "FunctionDeclaration"
We programmatically found all the function names. We could as easily find the names of the arguments, or the exposed variables.